KEEP YOUR CAR TIDY AND YOUR MIND FREE. As parents we know how stressful everyday can be. Always running around, rushing to work and back home, picking up kids from school… doesn’t really cross your mind to keep your car tidy at the same time does it? Well now it’s really easy. 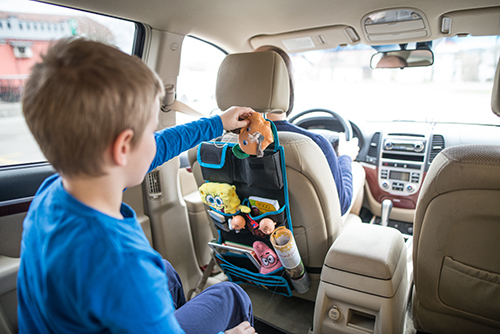 The Hello Little Monsters car organizer is fun way to keep your car organized, clean and at the same time know where your things are. 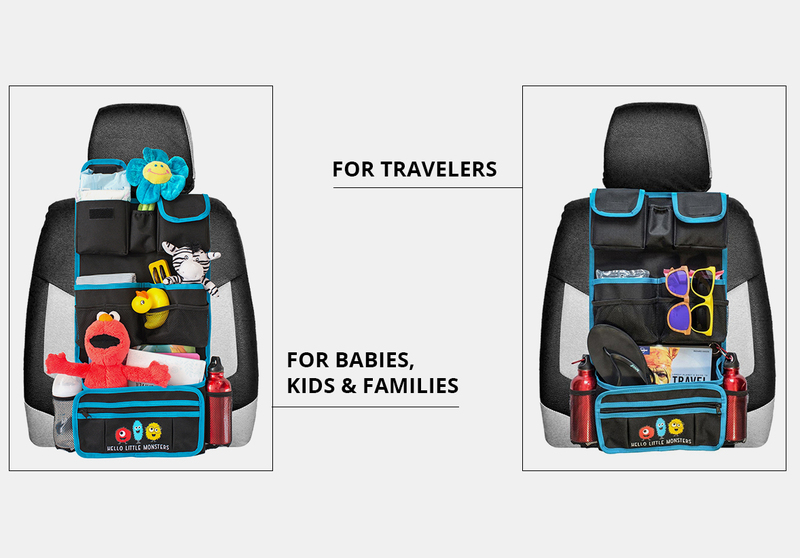 I have NO space to spare with a small SUV filled with a big convertable car seat, an infant bucket seat, ginormous side by side double buggy, umbrella stroller , and more toys, diapers, snacks, and emergency gear than you can imagine! It's a hot mess in there and this little organizer help me get rid of one full box of stuff plus room to spare more more thing. This car organizer was perfect and exactly what I was looking for. It has a bunch of pockets and it's super easy to install. The pockets are very spacious and there's even a zippered pocket on the front if there's more valuable items that you don't want to lose. It was easy enough to snap around the passenger seat and it fit just snuggly just right. I got this for my sister who has a 1 yr old girl. Her car is always messed and I really want to help her about this. This Backseat Car Organizer has multiple pockets so everything can be organized in different pockets. I am also happy to see that my little niece starts to learn organizing stuff. Now she can put things back after using it. The little educational bonus really makes my sister happy.